You've never seen photographs like these. A stunning new book by Dr. Zahi Hawass, the charismatic former head of antiquities in Egypt, and famed Italian photographer Sandro Vannini, offers the chance to observe in unprecedented detail the treasures of Tutankhamun. To fully appreciate the incredible images, "The Legend of Tutankhamun" is published in the tradition of the grand, large folio publications of the 19th century—it is nearly half a metre tall. Pictured is just one of the stunning photographs from the book, as featured in Nile Magazine. It captures a tender moment between young Tutankhamun and his queen, Ankhesenamun, and comes from a wooden box found in the Annexe chamber of the king's tomb. Open it up in full-screen; it's worth it! These figures, carved in ivory and then painted, show the king accepting a gift of long-stemmed papyrus and lotus flowers from the queen. 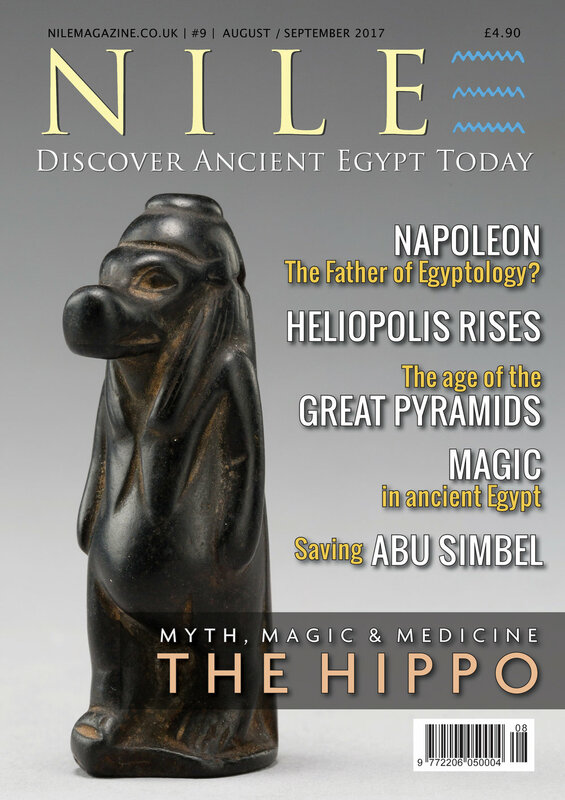 Enjoy the full article featuring more of Sandro Vannini's incredible photos in the latest issue of Nile Magazine. And for more information on "The Legend of Tutankhamun", visit www.laboratoriorosso.com.